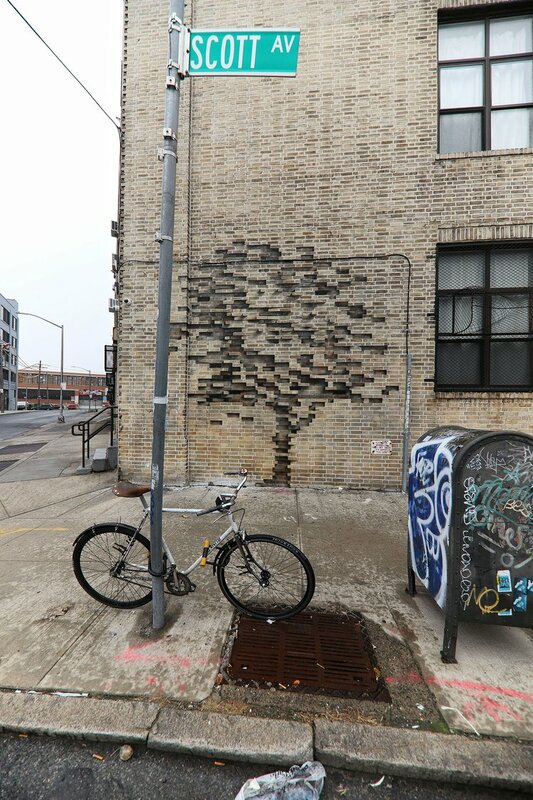 Taking a sturdy structure and familiar urban element as a base, Fossil is proposing a hypothetical fatal future in which the only memory of nature is the fossilized appearance of a tree on a brick wall. Opposing the first work, Inner Strength is an empowering piece portraying another hypothetical future in which nature breaks the barriers imposed by the hand of man, recovering the lost ground along the way. 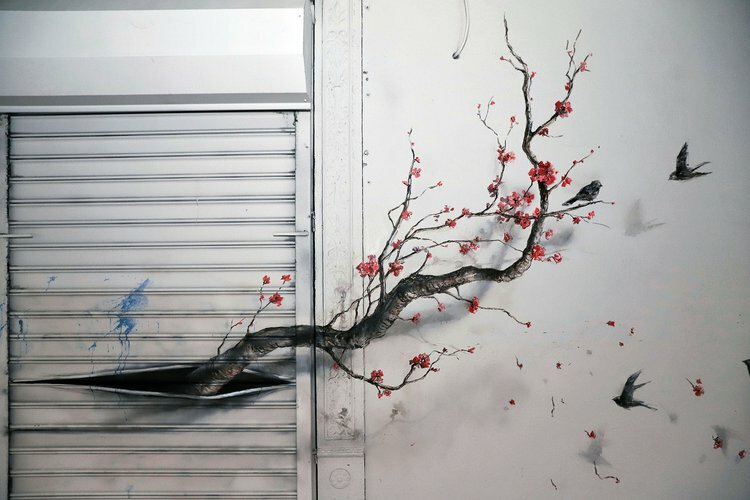 Pejac’s site appears to be down right now, but he is on Instagram.